These were so easy, and so good!!! There was no need for dipping sauce at all! Boil the chicken wings for 8 minutes. Drain and allow to cool. Preheat the oven to 450. Line a baking tray with parchment paper. In a large bowl or ziploc bag, combine oil, lemon, salt, cayenne, and garlic. Add the chicken and marinate for at least 45 minutes. 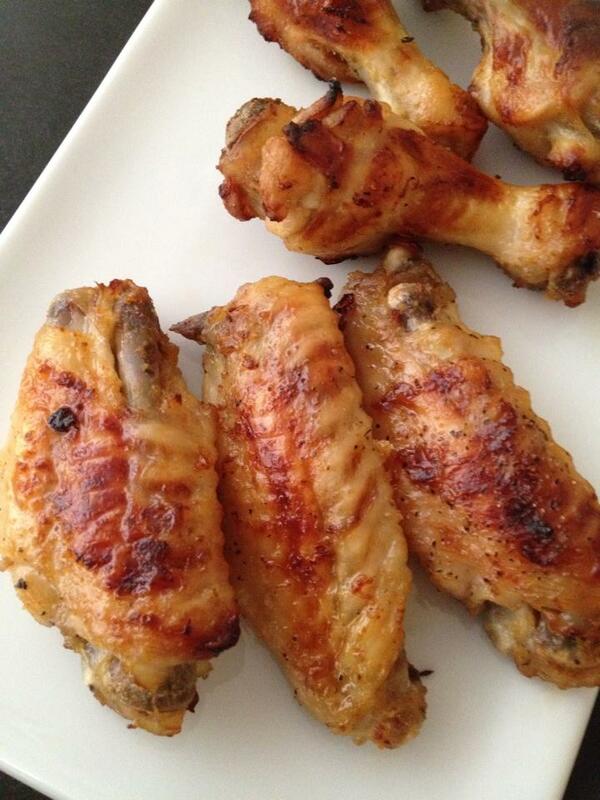 Place the chicken wings onto the tray and sprinkle with salt and pepper to taste. Bake for 20 minutes. Turn and bake an additional 10 minutes.